First Encounters were tired of their old website and wanted a design that would more closely reflect their comfortable, modern clinics and state-of-the-art sonography equipment. The company’s owners asked Designer Websites to update their online presence, and our responsive design specialists created an attractive new design that performs well and delivers a superb user experience across all platforms, from desktop PCs to smartphones and other mobile devices. 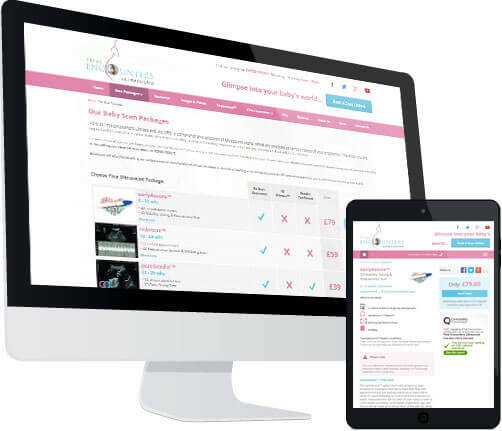 We created www.firstencounters.co.uk, a fully responsive website that we feel is utterly perfect for the business it represents. The cutting-edge responsive design mirrors the company’s own dedication to using the latest technologies, and it has never been easier for customers to book their First Encounters ultrasound scan online. "As a company targeting a particular audience within a specific demographic, our website is the foundation of our marketing strategy. However, in recent times, it had become increasingly evident that our continued growth and development in both existing and new territories would require an online presence that reflected the changes in SEO criteria, combined with compatibility across the multitude of devices from which our site is accessed. In response to these demands, Designer Websites have developed a fully responsible website that provides clear functionality across all platforms, particularly the mobile and tablet devices that our clients commonly use. The search engine optimisation used in conjunction with this design has enabled us to achieve the #1 in many Google organic listings within one month, and their continued support with social media and news blogging further assists with this cause. The Designer Websites team are friendly, professional, and extremely knowledgeable, delivering results in a timely manner and providing a highly commendable service from an extremely trustworthy organisation." 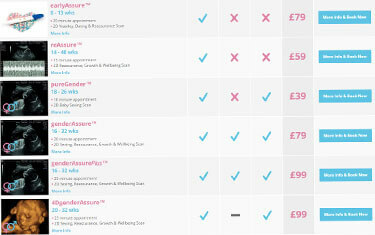 Responsive Design: First EncountersWith comfortable, spacious clinics in Bristol, Cardiff, and Swindon, First Encounters have been among the leading providers of 3D/4D ultrasound scans for quite some time. 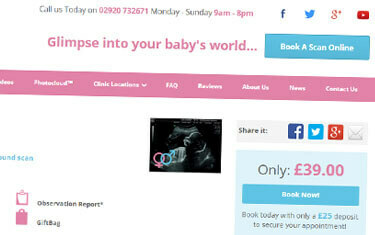 Unfortunately, their previous website did not give a very good impression of the company’s prestige, nor of the amazingly advanced services on offer; the First Encounters team strive to use nothing but the very latest ultrasound technologies, and yet their old site’s design looked rather outdated indeed. However, we at Designer Websites were on hand to help revitalise the company’s online image, and their responsive website is now every bit as cutting-edge as the equipment they use in their clinics. Cross-Platform CompatibilityAt the heart of this project was the need for a responsive design. First Encounters had noticed that the majority of their site traffic was coming from mobile devices, and they were concerned that their existing website might not be giving these visitors a particularly user-friendly experience. We used the latest design techniques to turn firstencounters.co.uk into a fully-responsive online platform; the design automatically adapts to the size of the screen on which it is viewed, and the mobile navigation makes it tremendously easy to learn about book an appointment and learn more about what First Encounters have to offer. 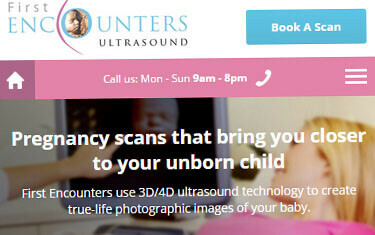 Scan PackagesFirst Encounters offer a wide range of ultrasound scan packages, from basic reassurance and dating scans to in-depth 3D/4D scans that allow expectant parents to get a close-up look at their unborn baby. With such a variety of options on offer, it was crucial to present the details of each package in as clear and concise a manner as possible. Our design team put a lot of thought into this, and site users can now assess the contents of each package at a glance thanks to our eye-catching design work and the site’s consistent layout. User JourneyThe First Encounters website has an integrated booking system that allows parents-in-waiting to make an appointment over the web. When planning the new responsive design, we aimed to create a clear path for users to follow, one that would take them from whichever page they happened to land on to the website’s booking facility whilst furnishing them with all the necessary information along the way. We feel that the finished website makes booking an appointment exceptionally straightforward – the user is never more than one click away from the site’s booking facility – and all the important details are clearly laid out in a manner that makes them easy to locate no matter where you start from.